Gardeners West Hampstead is quickly becoming the go-to gardening company for dealing with gardens of any size, shape or condition. That's because, throughout the NW6 area, our professional gardeners relish the challenge of transforming or caring for any kind of garden. Everyone deserves a wonderful garden to relax in, so let's see what we can do for you! We can offer landscaping, waste clearance or even lawn mowing if you need it. Call us today to talk to an expert or get in touch through our website, if you prefer. If spring is just around the corner in the NW6 region, we often start to think about the condition of our gardens. Spring is the time for new life in the garden, so having a professional to visit and provide an expert garden maintenance service can help. Our skilled West Hampstead gardeners can offer great deals on landscaping, spraying and planting. They can even offer regular visits for expert maintenance or one-off sessions to tackle any grass that's grown a bit too wildly over the winter months. Whatever your needs this spring, call your local gardening company to give you a helping hand! Does Your Garden Have an Irregular Shape or Size? Our Gardeners NW6 Can Handle It! Sometimes you might be lucky enough to have a very long or very wide garden, but you might not be sure exactly what to do with it! Many of our clients in the NW6 area have come to us for advice on how to redesign and lay out their garden. Our landscape gardeners in West Hampstead NW6 are here to aid with any garden design service you may need. Garden landscaping is a great way to transform and make the most of your garden. Our options are incredibly comprehensive and extremely affordable. Whatever your plans are for your garden, our experts can explain our available services in detail and guide you into choosing the best package for you. There's no need to get all stressed and worried over the state of your garden, even if you feel as if it is beyond rescuing! That's where we come in, shovel, spade and rake ready in hand to transform your garden! Throughout West Hampstead, we've been offering great deals on garden clearance and waste removal. So no matter the state of your garden, we are guaranteed to be able to help you out! Once any waste or junk have been cleared, we can then straighten up your garden with some maintenance options, or even a spot of garden landscaping. So don't get stressed, call in the experts to save the day! Looking for a reliable gardeners service in West Hampstead, NW6? Entrusting your garden to a stranger can be difficult, and we understand that difficulty. That is why we hire the very best, most trustworthy gardeners in West Hampstead. Each of our experts is highly experienced in each of the maintenance options we offer. You'll have little difficulty in finding the ideal expert amongst our team to take care of your garden without making you feel nervous. We have been working hard to keep our prices as low as possible. We do this because we think everyone should have access to great gardening services to turn their garden into the space they've always wanted. Our gardening experts are local to the NW6 area and are available all year round. Whether you need patio cleaning or weed control, we can do it all and you'll be pleasantly surprised by our extraordinarily affordable quotes. Book an appointment today with Gardeners West Hampstead! Gardening Company West Hampstead are specialists when it comes to all things gardening. They're the team I call when my garden needs some help. I had a big landscaping job that needed doing. Garden Designers West Hampstead were the only team I thought about. I entrusted them with the job, and they didn't let me down. We asked Lawn Mowing West Hampstead to do some hedge pruning for us and were very happy with the work done. The best deal in town, hands down! 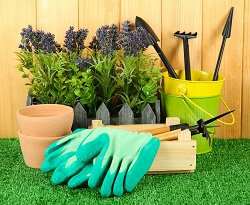 Gardening Services West Hampstead made looking for garden maintenance fast and easy. Company name: Gardeners West Hampstead . Description: Our gardening professionals use their innovative ideas suitable for anyone’s garden in West Hampstead, NW6. Call to get an enormous discount. © Copyright 2014 - 2015 Gardeners West Hampstead. All Rights Reserved.